Avira Antivirus Pro gets strong scores from our independent testing labs and has an intuitive online dashboard that lets you manage security for all your devices from one centralized panel. It adds a few additional security features to the free Avira Antivirus. Avira Antivirus Pro adds some useful security features to their already powerful free antivirus, which blocked the majority of malware detected when tested. The added Browser Safety component protects you from malicious URLs or eliminates the malware payload before it can finish downloading. Plus, Avira Antivirus Pro comes with access to other Avira products that provide an additional level of safety for your home or office. Avira Antivirus Pro doesn’t always completely remove the malware that it detects, which could potentially leave your system vulnerable, and the price scaling to protect multiple devices quickly outstrips similar programs. The Browser Safety program only works with Chrome and Firefox, and the additional “bonus” program, Web Protection, isn’t as effective as Browser Safety at protecting from phishing sites and malware downloads. While Avira Antivirus Pro gets strong scores from independent testing labs and has a few features that make it really appealing. If you really need antivirus protection for a small- to medium-sized business, there may be other security suites that offer more protection for a comparable price. Avira Antivirus Pro got fairly good scores from independent testing labs, with an 88% for Protection, a 92% for Performance, and a solid 100% for Ease of Use. Avira Antivirus Pro also received a 92% for its features, and a 6/10 for value for money for 1 PC. Avira Antivirus Pro starts out quite affordably. Protecting one device for one year will cost just $38, which is on the low end for business-oriented antivirus suites and fits comfortably in the lower end of the price range for our other reviewed security suites. However, the scaling doesn’t stay affordable; protecting 5 devices with Avira Antivirus Pro will cost you $190.85. In contrast, Kaspersky Small Office Security will cost $149.99 to protect 5 users and a fileserver for a year, and in-home security with Kaspersky Total Security will let you protect 10 devices for a year for $149.99 at its most expensive. Avira Antivirus Pro does come with a free 30-day trial and provides a 30-day money-back guarantee if you’re not satisfied with the program. Avira Antivirus Pro offers some fairly standard antivirus protection, with real-time threat prevention, web protection, and email protection. Avira Antivirus Pro also provides enhanced network drive protection, preventing malware from being stored or spread via your internal network or shared cloud storage. One of the bonuses of Avira Antivirus Pro is the centralized management console, which we talked a little about earlier; the online console allows remote management of any devices protected by your Avira Antivirus Pro license, and is where you’d trigger mobile device tracking and anti-theft safeguards if necessary. Your user dashboard for Avira Antivirus Pro also provides you with helpful information regarding the computers on your license, including how much space is available on your hard drive. Avira Antivirus Pro has a clean and simple user interface, both on the protected devices and through the web portal. All of your available options are easily accessible, and the online panel allows you to remotely start scans and check the status of all the devices under your license. It’s also easy to set up your online account, and - like some other antivirus programs we’ve reviewed - Avira Antivirus Pro gives you the ability to send a download link to other devices you want to protect. Avira Antivirus Pro comes with their “Gold-level support,” meaning that you can reach their service team via both phone and email. You’ll access that option through your online portal, but you can also reach a large, searchable database of help topics simply by clicking on the “support” button on Avira’s website. Avira also provides video tutorials to help walk users through the most common issues they need help with, as well as a virus lab section of their site which gives users the ability to read up on viruses and other malware that may be a danger to them. Avira has over 30 years of security expertise and boasts 30 million threats detected a day, with over 100 million customers using their product worldwide. Avira’s products have won some awards. Founded in 1986, Avira now employs over 500 people and boasts itself as a successful pioneer of the “freemium” software business model. Avira’s goal is to provide quality protection that enables its users to experience online freedom without worry of attack. They constantly look for new, innovative ways to expand their protection while still keeping a simple and accessible system profile. Avira Antivirus Pro is a decent program with solid scores from independent testing labs, and if you only have one computer to protect it’s a decent price. However, if you’re looking for multi-device coverage or more expansive security options, we’d suggest turning to some of the other programs we’ve reviewed - Kaspersky, Norton, and Bitdefender all received incredibly high scores and are either the same cost or more affordable for the same amount of devices, and while McAfee’s scores weren’t quite as high, it does allow you to install protection on an unlimited number of devices. "I have mixed feelings about Avira which was recommended to me to replace my free version of AVG. The price for the value was great, and it was easy to use from the start. Using the interface alone had me quite amazed at the polish of the program. They've gone to the cloud, much like the rest of the antivirus world. Online protecting covers identity, browser, port blocking and even real time suggestions. Their antivirus is award winning and catches a lot of things other programs miss. And in keeping up with the times, they have a game mode that functions as a 'do not disturb' when you are playing. Now this is where my favoritism for the program turns to negativity. Game modes are not only supposed to mute pop ups and disturbances, they should also put the antivirus program into a low power mode. This is the one thing that is lacking from Avira, and I really wish they would patch it. Highly recommended if you're not a gamer, otherwise look for a more compatible solution." "Been using Avira antivirus for a few years now on my two home computers and my small business office computer. Never had any virus infections or anything like that. My renewal is coming up soon so I'm planning to renew it for another year. " "Easy to use and install. No noticeable PC slowdown. Has already removed a trojan. Great product." "Please keep up the good works. Thanks!" "I've only had Avira for about 30 days so far but see no problems." "I use Avira Antyvirus for several years. Practically no flaws." "Never a problem! Would highly recommend this product." "The feature list is good, the UI is clean, the product seems legit"
"I think Avira is one of the best i've tried , maybe at the same level of avg , i never had a problem with this antivirus , no virus inside every danger blocked from the beginning." "It's ultra effective! I haven't suffered any boycott on my system due to any virus so it feels great to know I'm guarded from most internet menaces. 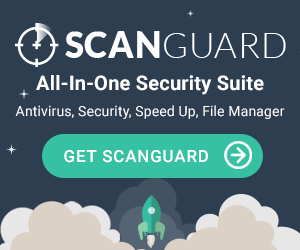 It has various levels of guard, auto updates and periodic scans so after the initial setup you only have to dedicate to your normal activities without worrying at all about your system's safety." "its silent , it pop up when u start windows , it do his job in lite way , so it have not that effeckt on the other programs ,"
"Avira is good antivirus software. It works quietly in the back ground, without much of the pop ups. Only when some virus or malaware is detected it gives you a warning. The scanning process is quite good. The system is well protected. You can browse through any content without fear of any virus affecting the system,"
"I enjoy the excellent performance with low memory requirement. It helps to the computer running virus-free and quick. However, the notifications are a bit obtrusive at times. But at the end of the day, Managing system efficiency is probably one of the biggest challenges to keeping the work flow at an optimal level. Avira endpoint security is a big part of my company's ability to do the job that we need to accomplish." "t's ultra effective! It one of the better AV in the market right now. It has a very good performance and a always updated database." "Excellent antivirus, RAS ! Ne consomme pas trop de ressources et efficace." "had no problem with using Avira...its anti virus protected my device from any infection by virus." "Avira anti-virus protection is easy to understand and easy to implement, giving exceptional protection for my computer, while being reasonably priced...in my estimation." "Transparent, automatic , I am using Avira since more than 10 years , never have any virus problem, relatively affordable for multiple computer setup." "So far this product has lived up to my expectations and more." "Your antivirus functions are easy to use,quick to update and effective in protecting my computer from attack."